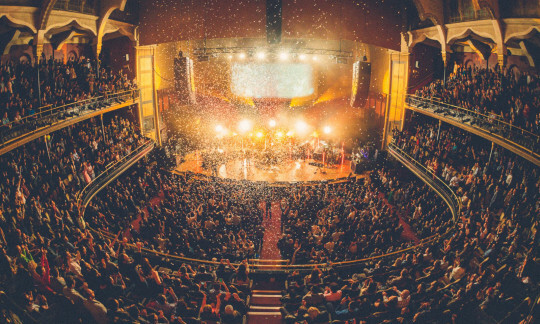 The Corporation of Massey Hall and Roy Thomson Hall Ticketing Services is the official outlet for tickets for shows listed on this website. +Only for events taking place at the venue. Tickets purchased from unauthorized third parties may not be valid and unusable for admittance, and we cannot replace lost or stolen third-party tickets. Tickets purchased from third parties may be priced much higher than the ticket’s actual face value, and we will be unable to contact holders of such tickets about program changes or cancellations. If you are unsure if you are buying from an unauthorized source please call or email us to confirm before you purchase. If I can’t use my ticket can I get a refund? All sales are final. Tickets cannot be exchanged or refunded. A full list of terms and conditions can be found here. Why are there service charges? While your ticket prices goes towards what you see on stage, service charges cover the various operating costs involved in selling tickets. Why do service charges vary? We work with many different clients who present at our venues. Each will have their own specific requirements, both to how the venue is set-up and also for how tickets are sold. In the same way that ticket prices vary, service charges will also fluctuate based on the requirements of the event. Can I purchase tickets without a service charge? Sometimes service charges will be waived for in person sales, at other times there may be certain administration costs that cannot be waived. Print at Home/Mobile Delivery – this is the easiest and most convenient way to get your tickets. We will email the tickets to you in PDF format. You can then either print them in advance or display them on your mobile phone when you arrive at the venue. Tip: You will receive two emails. One will be a confirmation email, the other will have the tickets attached as a PDF. Occasionally these can be redirected to your junk or spam folder. Regular Mail - there will be a delivery charge to cover the cost of mailing your tickets. This depends on the requirements of the event, sometimes tickets will not be transferable to another name. If this is allowed and someone else will be picking up the tickets we need the credit card holder to email contactus@mh-rth.com with the event name, seat locations, last four digits of the credit card used and the name of the person picking them up. Where can I pick up my tickets on the day of the event? On the day of your event you can collect your tickets at the venue box office. To avoid line-ups it’s best to arrive no later than 30 minutes prior to your event. For venues other than Massey Hall and Roy Thomson Hall tickets will only be available two hours prior to the performance. Can I pick up my tickets before the day of the event? In most cases tickets for all of our venues will be available for collection at the Roy Thomson Hall box office before the day of the events. If you have lost your tickets contact us by email contactus@mh-rth.com or call us at (416) 872 4255. We will be able to arrange replacement tickets which you can pick-up on the day of your performance at the venue. Your ticket(s) will be issued when the final installment has been paid. No refunds will be issued on partially paid orders. 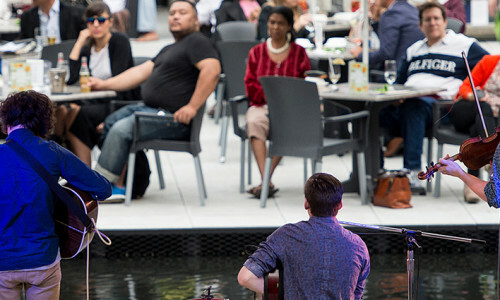 If you are a late or leave the auditorium during the performance, you will only be seated if there is an appropriate break in the performance, as determined by the artist. The Camera Policy will vary depending on the presenter/artists requests. If you would like information about a specific event please contact the Box Office at 416-872-4255. Professional Cameras (cameras with a detachable lens) are strictly prohibited inside the auditorium. 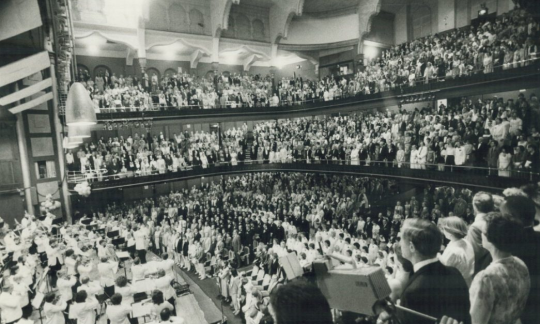 There is no dress code for concerts at Roy Thomson Hall or Massey Hall. Most patrons wear business clothes or casual clothes, but you'll see everything from jeans and khakis to cocktail dresses and tuxedos. Not all performances are suitable for young children. Babes-in-arms and children under 5 may not be admitted, based on the wishes of the performer and/or the nature of the performance. Please check with Box Office Customer Service Representatives prior to purchasing your tickets. If you are interested in a tour of Massey Hall or Roy Thomson Hall please contact public.tours@mh-rth.com for information.